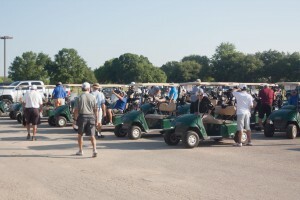 Golf teams are invited to sign up for the LBJ Museum’s 16th Annual Ted Breihan Open Golf Tournament at Quail Creek Country Club schedule for Saturday, June 9 (rain date: June 16). A number of teams have already signed up. Teams may register online at http://lbjmuseum.com/16th?annual?lbj?tournament/. The top three teams will win trophies. The deadline for online registration is May 31, 2018. You may also register on-site the day of the tournament if you miss the deadline. For more information, interested individuals, teams and sponsors may contact James Martin, Museum Director, at 512-353-3300, director@lbjmuseum.com, or Taylor Briley, Tournament Manager, at lbjmsm@gmail.com.